~ 100% natural tart Montmorency cherry concentrate. ~ No added sugar, sweeteners, preservatives, flavourings or colourings. ~ A 30ml serving is the antioxidant equivalent of 23 fruit & vegetables. CherryActive Concentrate is made from 100% Montmorency cherries - each 30ml serving made from at least 90 pressed Montmorency cherries. CherryActive Concentrate is a very rich source of antioxidants - in fact recent tests have shown that a 30ml serving contains 8260 ORAC units (the equivalent antioxidants you`d find in over 20 average portions of fruit and veg). Although all fresh fruits, especially cherries, are full of goodness, tart cherries, specifically the Montmorency variety, have been found to be packed with high levels of antioxidants and flavonoids, including Anthocyanin and Melatonin. The antioxidant compounds found in Montmorency cherries may help support healthy muscles and joints, help maintain normal uric levels and help support healthy sleep patterns. CherryActive Concentrate is very versatile - mix with water to make a delicious cherry juice or add to smoothies, juices or to natural yoghurt. What is the Antioxidant Capacity of Montmorency Cherry Products? The ORAC (oxygen radical absorption capacity) test accurately quantifies the antioxidant capacities of foods by taking into account the fact that most natural products are a complex mix of phytochemicals of which many are antioxidants. Brunswick Labs is a leader in ORAC testing and has set the standard for the food industry. Nutritionists suggest that people should eat 3,000 to 5,000 ORAC units per day to have an impact on health. Brunswick Laboratories, Wareham, MA, recently conducted extensive nutraceutical evaluations and ORAC testing on Montmorency cherry products. Dr. Boxin Ou, principal research scientist at Brunswick Laboratories and one of the leading scientists in the U.S. on phytochemicals in plant foods, filed these scientific notes on the evaluations. Montmorency cherry juice concentrate has the highest ORAC values of tested fruits and vegetables. Each Montmorency cherry product registered a high ORAC value. ~ Montmorency cherry juice concentrate has 12,800 ORAC units. ~ Dried Montmorency cherries have 6,800 ORAC units. ~ Other fruits that have been tested range from 700 to 5,700 ORAC units per 100 grams. CherryActive Concentrate contains no added sugar, sweeteners, preservatives, flavourings or colourings - just 100% Montmorency cherries. 100% concentrated Montmorency cherry juice. Suitable for vegetarians and vegans. Store in a cool place or refrigerate. Straight up: Mix 30ml of cherry concentrate juice into half a pint of fresh water - or dilute to taste. As a breakfast treat: Add 30ml of CherryActive® concentrate to natural yoghurt or a breakfast smoothie. 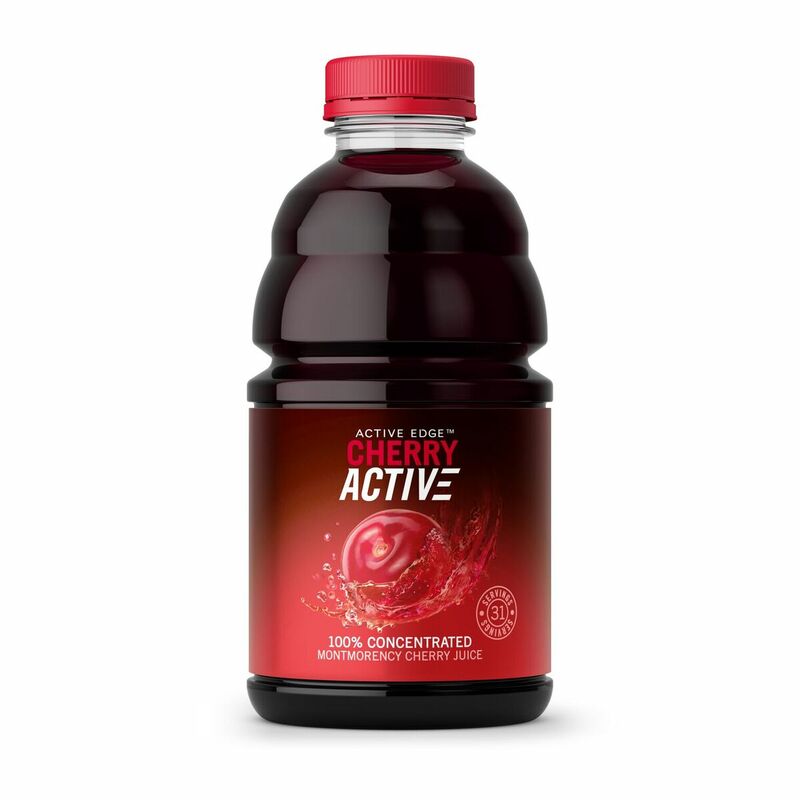 Cherry active recommends a 1 part concentrate to 7 parts water mixture. Simply pour a two tablespoon (30ml) serving of concentrate into a half pint glass and top up with water. Some customers add a splash of lemonade, ginger or some ice cubes. Our cherry juice is not only full of health giving properties - it also tastes delicious!